In the colorful small town of Cherico, Mississippi, librarian Maura Beth McShay is preparing for an exciting new installment in her own life story-with some help from the Cherry Cola Book Club. Overseeing the opening of Cherico's new library has been a labor of love for Maura Beth McShay, made extra challenging by the fact that she and Jeremy are expecting their first child. And there's another plot twist on the horizon: Jeremy's sister, Elise, has taken a sabbatical to have a baby and will be staying in Cherico during her pregnancy. It's an unlikely move for the fiercely independent Elise, one that's causing her some anxiety. Jeremy, who's supposed to be birthing the Great American Novel, is instead testing his wife's patience with his incessant "sympathy pains." Resourceful as always, Maura Beth decides to use her new library as a venue for "Expecting Great Things" meetings-a sequel to her beloved book club. The weekly gatherings allow townsfolk to share hopes, fears, and practical advice about parenting and pregnancy, along with anecdotes both poignant and hilarious. 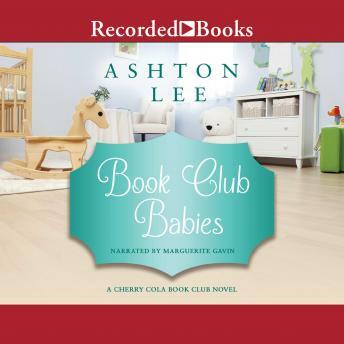 And amongst the revelations and new friendships, Maura Beth, Jeremy, and the rest of the Cherry Cola Book Club prepare to meet their newest members.